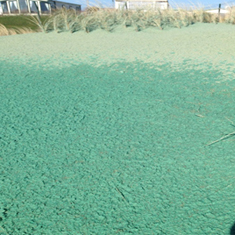 Cropcare is working alongside Hydroseeding product leaders, Profile Products LLC to distribute the market’s broadest line of erosion and sediment control products, turf establishment products and associated consumables to control erosion and accelerate seed germination. 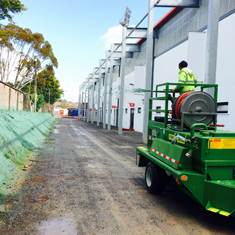 For more technical information, click to download the Hydromulch 1000 datasheet. 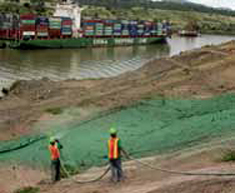 • ProMatrix Engineered Fibre Matrix (EFM) technology immediately bonds to the soil surface and effectively reduces turbidity of runoff for up to 12 months. • Engineered Fibre Matrix technology is non-toxic and incorporates biodegradable, recycled and phyto-sanitized components with no nettings, threads or staples to endanger wildlife. • Patented EFM technology promotes rapid germination and vegetative establishment with a 600% minimum increase in initial germination. 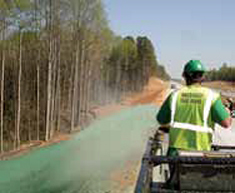 • ProMatrix assures the erosion control and vegetative establishment you expect from Profile Products. 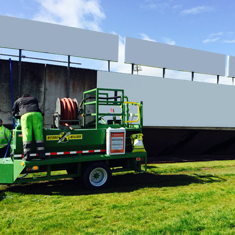 • Superior performance and sustainable results, in an-easy-to-apply and cost-effective solution. • Proprietary Dispersion Granules facilitate even distribution chemistry to ensure smooth slurry pumping and shooting. For more technical information, click to download the ProMatrix datasheet. 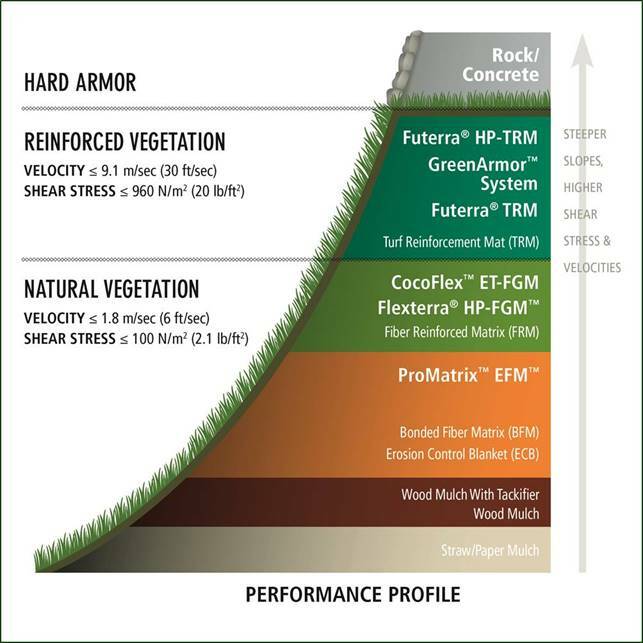 Flexterra® HP-FGM™ has demonstrated nearly perfect erosion control performance—even on slopes as severe as 0.25H:1V. 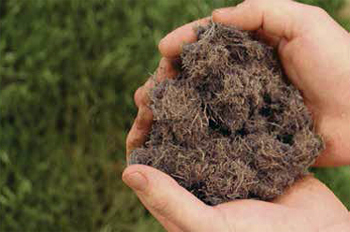 It immediately bonds to the soil surface, and has proven to be greater than 99% effective upon curing. Its flexible, yet stable matrix features greater wet bond strength, yielding increased sheet flow resistance. In addition to minimizing soil loss, the turbidity (NTU) of runoff is greatly reduced. In large scale testing, Flexterra HP-FGM reduced effluent turbidities of sandy loam soils to less than 100 NTU. For more technical information, click to download the Flexterra datasheet. 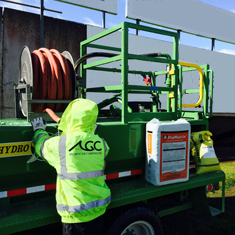 is designed as an alternative to topsoil on challenging and difficult‑to‑access sites. low nutrient levels and limited biological activity. 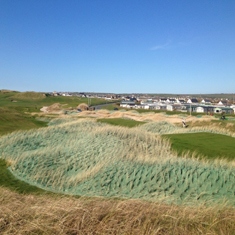 establishment and more effective erosion control. 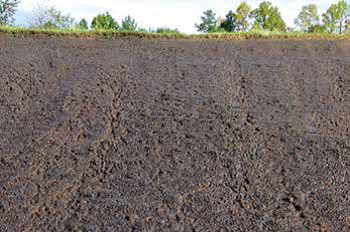 ProGanics™ Biotic Soil Media™ (BSM™) is engineered to provide a balanced formulation of soil‑building media that contributes to both rapid and sustained vegetation establishment while complementing the performance of hydraulic and rolled erosion control products. 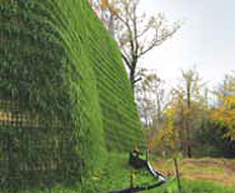 Testing at the Utah Water Research Laboratory (UWRL) has shown that ProMatrix™ Engineered Fiber Matrix™ (EFM™) applied over ProGanics resulted in 99% erosion control effectiveness with greater germination and growth versus a leading Biotic Soil Amendment applied and tested under the same conditions. For more technical information, click to download the Proganics datasheet.